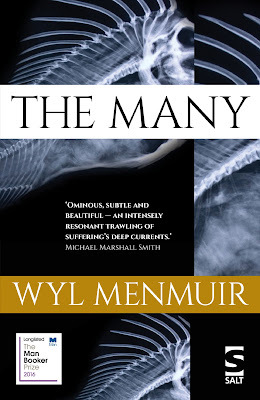 Wyl Menmuir is a novelist and editor based in Cornwall. His bestselling debut novel, The Many, published by Salt, was long-listed for the 2016 Man Booker Prize. 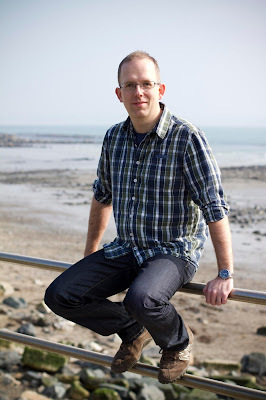 Wyl has also been published in A Space to Write, a book exploring authors’ creative writing practices, in nature and academic journals, and he writes regularly for a range of national magazines and blogs. Wyl lectures in creative writing and is also currently writer in residence at Richard Lander School in Truro. Congratulations on your recent nomination of The Many to The Man Booker Prize longlist. For a first novel this is an incredible achievement. What was your first reaction? It’s a bit of a cliché, but I didn’t really believe it when I got the message from my publisher on the day the longlist was announced. It was incredibly surreal, as it wasn’t even on my radar. I follow the Man Booker Prize each year and try to read at least the books on the shortlist, so to be nominated for the prize was unreal. Which Man Booker winning novel do you wish you’d written? There are so many I wish I’d written, though if I had to pick one, it would be Kazuo Ishiguro’s Remains of the Day, which is one of my all-time favourite novels. It’s incredibly powerful, incredibly moving, but at the same time, entirely understated, like so much of Ishiguro’s writing. It’s everything I want out of a novel, in that it explores big issues, though from a fascinating angle, and - as importantly - it stays with the reader long after the first reading. Timothy (the main character in The Many) is an outsider looking in, trying to belong but rejected at every turn. Is this sense of rejection or loneliness something that you have witnessed or experienced yourself? I think we’ve all had experiences of being both outsider and insider at different points in our lives. We’ve all been rejected and lonely at times, and at others have rejected and perhaps made others lonely, so I think this aspect of Timothy’s experience is perhaps one readers can sympathise with on some level, although hopefully in not so extreme circumstances. The sea and Perran’s house are both strong characters in The Many. How important is a sense of place to you in your work? Hugely so. For me, Perran’s house, the village and the sea are as much characters as the fishermen or the woman in grey. I knew the landscape would feature heavily in the novel from the beginning, from all the villages along the coast that I visited as part of my research, through to my own writing practice, which is very much rooted in the landscape and being part of that landscape. One of the themes you touch on in The Many is that of ‘going back’ or trying to ‘go back’ to a place which holds memories of a happier time. Have you, like Timothy, ever tried to ‘go back’ and if so, how did you find this experience? There’s a popular saying that you can’t step into the same river twice. I think the same is true of anywhere we visit. Once we have left, the place we visited exists only in memory (which in itself does strange things to a place), and I find when I return to a place of which I have a strong memory, it’s never really the place I remember. I often feel, as Timothy feels at one point, that things have been moved around when I return to somewhere I know well – street signs, buildings, roads and so on. Or sometimes it’s just the feeling that the place you visited has moved on since you were there. It would be strange if that was not the case, but I wanted to play with that idea of places remembered. The Many was published during the Brexit crisis. As a writer, how do you feel post-Brexit and how do you feel it will affect you as a writer? With specific reference to the UK fishing industry, are you in any way optimistic that freedom from EU rules will have a positive effect? How do I feel post-Brexit? It’s such a complex thing I struggle to get my head around it, although I was distraught at the outcome of the referendum. As a writer, I have no idea how it will affect me, though I’m certain it will feed into my writing, perhaps flowing into the collective anxieties of some of my characters as it has into my own. I wasn’t trying to make a particular political point about Brexit, although I was very aware of the feelings of fishermen I spoke to about quotas and things like that. I think cooperation on a scale larger than this island is essential when it comes to looking after the seas, especially if we want to continue to have the privilege of taking fish from them to eat, and I was really dismayed at the referendum outcome, as I believe it could be a big step backwards for the health of our seas. We have a huge responsibility to care for and protect the oceans and that was at the back of my mind as I was writing The Many. I surf and sail and spend a lot of time by the sea with my family, and we see the amount of plastic that washes up on the shore. We try to do our bit by getting involved in the beach cleans at our local spot, but it sometimes feels quite overwhelming the amount of damage we’ve already done to the seas. Reading the book is an intense experience, with its haunting and nightmarish quality. How intense was the writing process for you? Did you find you were ‘dreaming’ or ‘living’ this book in your subconscious, or writing chapters you had dreamt? The novel unfolded it to me almost entirely unplanned, so yes, I was certainly living the novel as I was writing it. I very rarely knew what I was going to write until I had written it and even then I surprised myself when I read it back. So much of it was unfamiliar, dragged up from somewhere in my subconscious and I learned to go with it, as I knew the story was unfolding itself in a way I couldn’t have possibly done had I written a plan, sketched out the characters and their journeys and had a beginning and endpoint in mind. During the writing process do you share drafts with family or friends or do you prefer to save the finished result until the end? I shared sections of the novel with my MA Creative Writing groups, which was hugely helpful in terms of knowing how far I could push the reader before they became alienated from the novel, how much I should explain and how much I should withhold, although it was different with different readers. On the whole, though, I don’t share my writing with my friends and family until I’m fairly happy with it. I want it to be as polished as possible before any readers get their hands on it. In your acknowledgments, you thank Chris for ‘a singularly useful piece of writing advice – finish what you start’ Is finishing something you struggled with as a writer? Chris and Bec, who created the Write Track app that I used while writing the novel, use ‘Finish what you start’ as a strapline for the app and it’s definitely the best piece of writing advice I have taken. I had a dread of coming to a grinding halt and leaving a half-finished novel in a drawer, as one of my motivations for writing the novel was to be an example to my children. If I can’t finish the projects I start, I’ll have no credibility when I’m encouraging them to take on risky projects, doing the things that really matter to them. Life’s too short not to finish the important things. Much of The Many was written travelling around the north coast of Cornwall in a campervan. But then you exercised your D.I.Y skills and built a desk. Is writing on the move or outside of your normal surroundings something you recommend? And how does writing at a desk differ from a more ‘nomadic’ process? My guilty secret here is that while I did build a desk on which to write my second novel, I’ve not really used it much. I think being transient might be integral to my writing practice. I’m too restless to sit at a desk for any length of time, and quite often an idea will occur to me at a really inconvenient time and I have to get it down on paper before it disappears, so having a notebook and a pen with me is the most important thing. Being on the move helps with the writing process – I’m not sure why or how, but it seems that way to me, and the campervan is useful for that. It’s like an office on wheels. Part of this book was written on an Arvon course. Was it useful for you to be in a community with other writers? Incredibly useful. Being around other people who are all struggling with the same sorts of problems is really motivating, and it’s great to feel you’re being useful to someone else as well, as sometimes the whole writing process can feel slightly solipsistic. Do you believe that a writers’ retreat can be a turning-point in a writer’s career? It was for me. I was encouraged to take creative risks with my writing that have paid off and started me on a path that has already taken me to some amazing places. So, emphatically, yes. If you could spend a week in residence with another author, living or dead, who would that be? Although I think it’s probably a mistake to meet your heroes (they always disappoint), I think I’d spend a week with Gabriel García Marquez. Did you grow up in a world of books? Yes. Both of my parents were readers and always read to me. I had my own books growing up and we went to the library at least once a week. After bugging them incessantly about it, the librarians ended up giving me extra tickets so I could take out more books. And even then I went back at least once a week. If we could travel in time and catch a glimpse of your childhood book-shelf, which authors would we find there? Tolkien, Alan Garner, Susan Cooper, Robert Westall, Michelle Magorian, Wilard Price, Roald Dahl, T H White, Richmal Crompton, Conan Doyle, for starters. 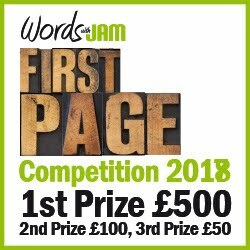 Do you remember your first piece of creative writing? I remember having an idea for a poem while I was in the bath when I was very young. I jumped out of the bath and wrote the poem, dripping wet at the top of the stairs. I don’t remember what the poem was, but I still get that sense of excitement when something I’m working on starts to come together, or when that idea occurs, seemingly from nowhere. There’s been a lot of criticism of Creative Writing courses by authors and academics such as Hanif Kureishi. To what extent do you agree or disagree with the idea that creative writing can be taught? What made you decide to take an MA? Was this an academic decision, or specifically to help you achieve publication? I think you can be guided, supported, encouraged, though taught is a problematic word. You can’t make someone a writer, but you can provide the right environment for them to explore what it is to be a writer, and you can model for them what being a writer is to you, which can be helpful. I wanted to do the MA partly because I love academic study (I’m a geek like that) and partly for the discipline. I trained as a journalist and I think I’ve never got over that journalistic requirement of needing a deadline to kick me into gear. Are you working on your second novel? Can you tell us a little about it? Yes, I’m working on a second novel at the moment. It’s certainly as ambitious as the first, if not more so, but it’s a very different novel. Other than that, I’d rather it was a surprise. Yes. Always. Being a novelist has been an ambition since I remember being able to thing. To be someone who can conjure up a whole world from their imagination, transport a reader to somewhere else and bring them back to the world a changed person – I think that’s possibly the best type of magic there is. Wyl Menmuir will be teaching at A Chapter Away residential writing retreat in 2017. Watch the website for details. Katharine D’Souza writes contemporary fiction about families, friends, and the issues they encounter. 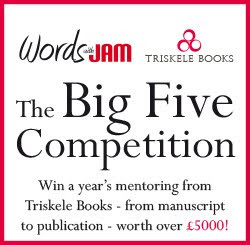 She’s published three books set in Birmingham, UK, and also runs a writers’ group, is chair of a festival of writing, undertakes freelance editing work, and works part time at a university. All of this cuts into her reading time, a situation which annoys her. Her most recent novel, No Place, came out in August. Hello. Tell us a little about you and your writing. While I’ve always loved to write stories, I didn’t take it seriously until I went part time at work over ten years ago and now find that balancing my own writing, running a writers’ group, editing, and working part time in an office is a good combination to ensure I both get some writing done and have something to write about. Well, I’m not quick with a witty comeback, so I like the opportunity to write a draft, delete it, rewrite it, revise, etc until the lightning-fast response actually appears in print. Writing first drafts. I very much prefer having material to rework. 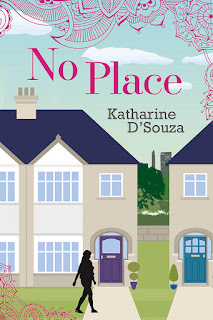 I want to write about the way we live in contemporary Britain, so contemporary fiction set in British cities is the perfect fit for me to explore the issues I think about. I am lucky enough to have a study of my own, but writing the first draft often happens in cafes, on trains, while lying on sofas, anywhere I can force myself to do it, really. Which four writers would you invite to a dinner party? Oooh, can they be from history? Because I’d love to invite Jane Austen, no competition. There are a lot of things I’d like to ask her. Though I’d also like to talk to J K Rowling and Maggie O'Farrell as they’re my modern day inspirations. Then, because meeting her at a Puffin Club event when I was very small was probably the seed of me wanting to write, Noel Streatfeild, so I could say ‘thank you’. Tough choice – perhaps fantasy. I enjoy reading it, but have never tried writing it. I think I’m intimidated by the complex world-building in the books I’ve read. What do you know now you wish you’d known at the start of your writing journey? The importance of independent critique, from writers’ group colleagues or an editor. Finding the courage to request and then listen to honest feedback is what really helped me improve as a writer. What is your proudest writing achievement to date? Whenever I hear feedback from readers. When someone tells me how much they enjoyed a book, or talks about the events or characters with insights which show how much they identified with the issues, that’s what makes it all worthwhile. I am working on a new novel. But it’s at first draft stage. Which means I’m hating it. Watch this space! How do we spot it? How do we write it? Subtext or undertone is any content of a creative work which is not announced explicitly by the characters or author, but is implicit or becomes something understood by the observer of the work as the production unfolds. When a character’s actions, mannerisms or words don’t quite ‘sit right’—when they don’t match that which we perceive as their intentions—it raises questions in a reader’s mind. And when a reader has questions, it generally leads to that golden action known as Page Turning. This is to be encouraged! Psychologically speaking, readers like to think we can tell when there is incongruity between a character’s intentions and their actions. In evolutionary terms, it’s necessary to be aware of inauthentic behaviour because it might mean there's a threat from those outside our tribe ... so we’re wired to be able to spot it. Of course, reading isn’t exactly what you'd call a survival situation, but we learn an awful lot about the world and humanity when we read a good book, and we do like to think we can tell when something fishy is going on. And—if a story is written well—we will hang in there to experience that a-ha moment when our suspicions are proven correct. 2. How do we spot it? On the meta level: how the story is being told/the narrative voice (‘extra-’ or ‘non-diegetic’). Jane Austen was a master of subtext. Her characters are full of innuendo and blushing cheeks and restrained civility: Austen’s was an environment in which one could not air one’s opinions nor say what one most desired, so characters had to find ways to say things to each other in a coded fashion. One of the easiest ways to spot meta level subtext at work is to think of it as a joke or secret—something revealing—between the narrator and the reader; one that the characters themselves may not be aware of. 3. How does subtext work? 1. Character. In storytelling terms, every character has at least two forces at work from within: fear and desire. Push and pull. They want something, but something is getting in the way. They fear something, but something propels them forwards. Luke Skywalker desires to get off the planet Tatooine and go on an adventure … but he’s an adolescent and he’s afraid of what’s out there. How could these conflicting forces manifest as subtext? Luke speaks with bravado, but we hear the tremor in his voice. Frodo is loathe to take the ring all the way to Mordor … but he desires to do the right thing by his friends, by Gandalf, and by All Things Good. Frodo continues bravely, but we see the weariness in his step. You see the pattern: Character does one thing … Reader/Audience perceives something different. There’s a gap. 2. Meta level: For subtext to work on this level, the writer should be utterly clear about the distinction between what’s going on in the the story and how the story is being told. It’s also critical the writer understands exactly what the character does and does not know (or need to know) about themselves and their environment. Clarity is key! 4. So how do we write it? 1. Character. For subtext to work best on this level, we need more than simply a theoretic fear or a desire. We need to propel them into the realm of action. 1. What does each character desire? What do they fear? 2. What do they know? What are they trying to hide? Body. We have our character’s whole body to work with. What are their gestures and body language? How are they holding themselves? Does their expression fit with the words they are speaking? Words. Think about the language they use. Are they trying to hide something? Or send a coded message? Do they therefore use words they wouldn’t otherwise choose? What's their tone of voice? Objects. With which objects do they set the table when they loathe their guests? A vase of flowers to make them sneeze? An object that would incite a fit of jealousy? In all cases, we’re looking to disrupt. To drop in something unexpected. What does the narrator desire? What do they fear? What do they know? What are they trying to hide? Objects and environment. (Mise-en-scène.) Does their chaotic home speak volumes about their state of mind, despite their neat attire? Qualitative language. Intentional use of value-loaded verbs (‘ugly’ vase; ‘beautiful’ sofa) can tell us a lot about how reliable a narrator is. Our protagonist has finished a painting and is hanging it on the wall in anticipation of presenting it to their spouse. Using a third person narrative voice—no dialogue—how can you let the reader know that, unbeknown to the protagonist, the painting is terrible? (You can also try with first person.) Remember, the same rules apply here to the narrative voice: what does the narrator know? What are they trying to hide? Libby O'Loghlin is an award winning short story writer, novelist and ghostwriter. Her independently published YA mystery adventure, Charlotte Aimes, was longlisted for the 2015 Bath Children's novel award. Her latest project, a co-written literary thriller, will be released at the end of 2016. She is co-founder of The Woolf Quarterly, an online cultural publication based in Zürich, Switzerland.